Just over a year ago, Australis released five gorgeous shades of their new Velourlips. Obviously there was a huge success with them, as now Australis has released five more shades. The original five were fairly bright and vibrant, however this time the colours have been softened to a nice hue of wearable pinks. As I was so excited by the original release, it was pretty obvious that I was going to rush out and buy all five shades at once. It's taken my a while to collect all five as they were sold out in many stores, but I've finally gotten my hands on them. Unfortunately, the names have not been improved whatsoever since their original release. This can be easily forgiven though given the fact that these lip creams are just gorgeous. This matte finish lip creams go on fairly smoothly and dry very quickly, so don't take your time in applying these. While these are a little bit drying, I don't find them too bad personally. I've also taken to finishing them off with a clear lip gloss to keep the colour but add a gloss, which has a very nice result and leaves your lips feeling a bit more moisturised. As you can see, the colours are far more neutral and wearable than the original shades that were released. I personally love Hon-O-Loo-Loo and Ho-Chi-Min, while Mi-A-Mee has a special place in my collection. Sadly I found Mil-A-No to be a little bit too light for my skintone, but imagine it would look stunning on someone with a darker skin tone. 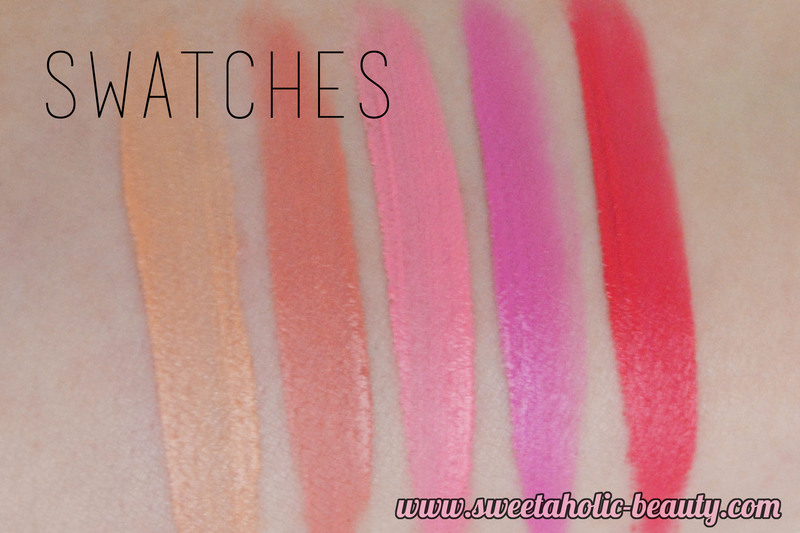 I do apologise for the terrible quality of the swatches, these were done on my phone and since I'm actually sick at the moment, I didn't want to risk redoing my lip swatches for this blog post. As you can see, the much lighter colours can appear to be a little streaky so it depends on your skintone and application. Application can be a bit tricky, as I said earlier, they do dry very quickly. Moisturising before applying is a must. Whilst I'm loving the colours more than the last set, I'm saddened to find that one of the colours just didn't work for me. In saying that, however, the Australis Velourlips are an excellent drugstore alternative to those higher end brands and are far easier (and cheaper) than their luxe counterparts. Make sure to try these out in the store first and see how they match with your skintone, as these babies certainly aren't for everyone. 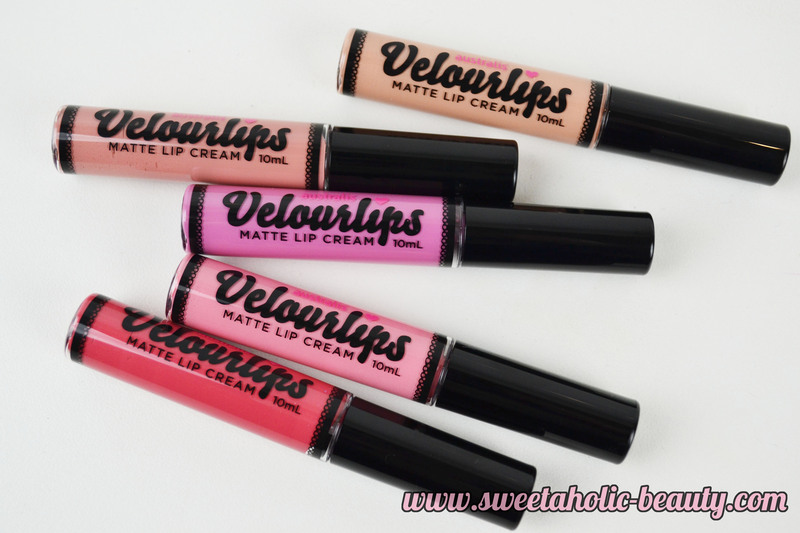 Have you tried the Australis Velourlips yet? If so, what are your thoughts? Are you a fan? wow they are so matte, i love them! I still haven't tried these but I love the look of the new shades released, particularly honolulu and miami (I cannot be bothered to write out the proper names haha). I may have to give these a swatch at least! The last two look really pretty! Your swatches look fine and so do the colors :-) That first one is a miss, but the others and the last one in particular look pretty! I'm glad to see a more 'wearable' selection from this range at affordable prices. I personally don't like the feel of them on my lips. I bought Mi-A-Mee and love it ,such a lovely colour. might have to also grab hon-o-loo-loo and lun-dun now. They are lovely soft colours but I really like my matte lip colours to be vibrant, which is why I loved the first version soooo much! Great review though, Lun-dun looks perfect on your skin tone! I really, really want Mi-A-Mee! It's such a great colour on you! I really like those shades! Love the colour!! And the last to loveit!! I didn't love the first release either - the colours were too bright and drying on me. But these shades are way more subtle, so I might give a few of them another try! Did you know they have ANOTHER 5 shades coming out in a few weeks time? I can't wait to see what they are - I'm sure they will also end up in my collection haha! Ooh, I really love the look of the Lun-Dun shade ~ very pretty and feminine. Second color look so nice! I haven't heard of this brand before but it's always nice to hear about new brands !